Now that I am in school full time, plus a full time travel job, I just don’t have time to cook these fancy meals anymore. 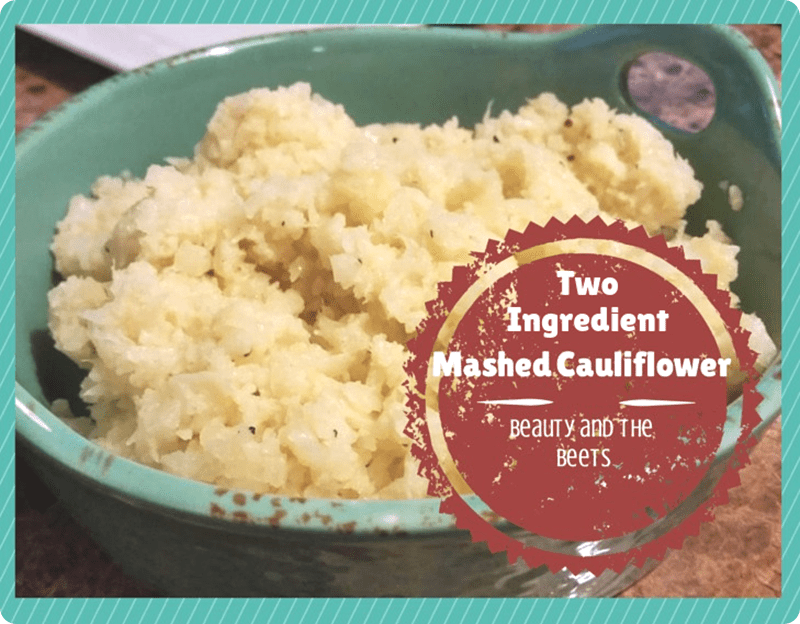 If you have been reading Beauty and the Beets for a while now, you may have even noticed it’s been quite some time since I have posted a recipe. I am really starting to par down and make very simple recipes – dishes like beans and rice, and veggies with pasta have become staples in my house as of late. I always welcome a recipe that is super easy, and for me- the less ingredients, the better. But come on…cauliflower……. I love cauliflower. I eat it raw, roasted, baked, steamed……and perhaps my most favorite way is mashed. And mashed cauliflower can hold its own against mashed potatoes. The same as you can add butter, cheese, or even bacon to mashed potatoes, you can do the same with mashed cauliflower. Except that mashed cauliflower is easier to make and can be made in considerably less time. An amazing and healthier substitute for mashed potatoes. 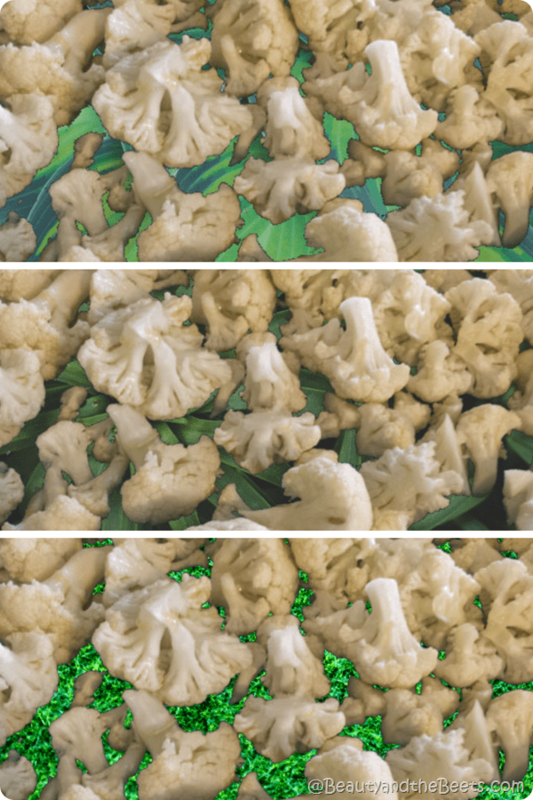 One cup of boiled cauliflower has about 30 calories while boiled white potatoes yields about 134 calories. 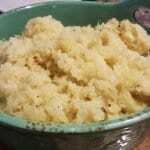 Mashed cauliflower can also be dressed as its potato counterpart - butter, cheese, fresh herbs, chopped veggies - if you can imagine it, it can be done to mashed cauliflower. In a large saucepan, add the frozen cauliflower, broth, and a pinch of salt to a boil. Simmer on medium for 20 minutes, until cauliflower is tender. 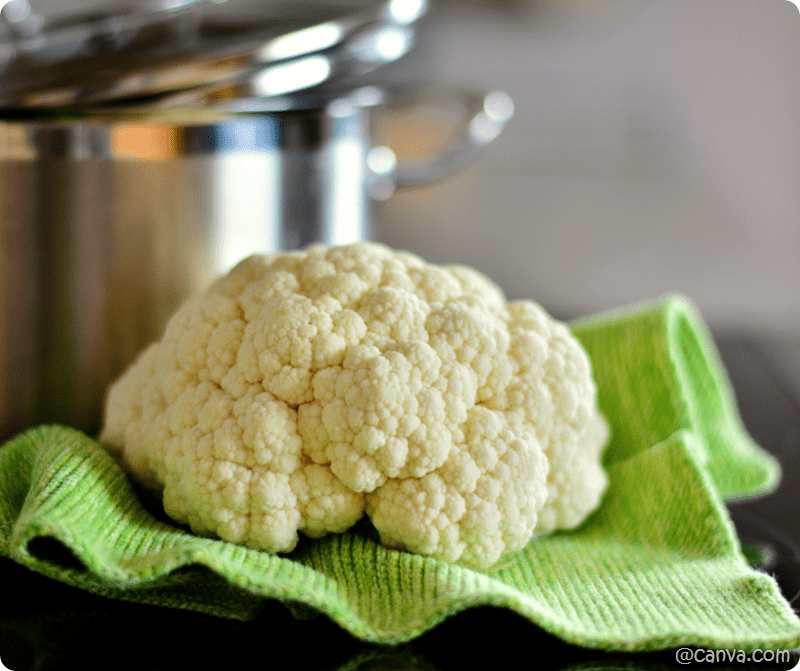 Drain cauliflower and add back to the saucepan. Using a potato masher, mash the cauliflower while mixing in any spices or mix-ins of your choice. 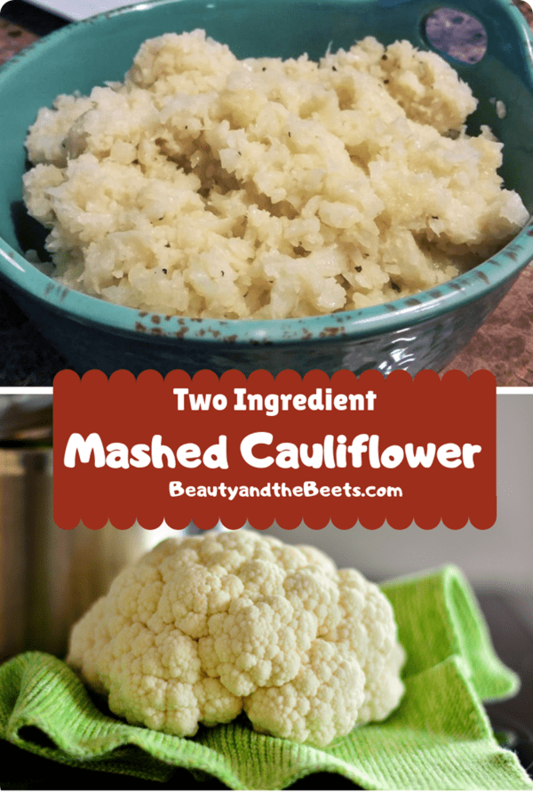 Leave the cauliflower slightly chunky as you would leave small chunks in mashed potatoes. All you need is a package of frozen cauliflower and a carton of vegetable or chicken broth. Mashed cauliflower has the same texture as its potato counterpart, so there is no fear of missing out. You can season as little or as much as you please. Add fresh herbs or fold in chopped peppers. Or simply serve with salt and pepper. Mashed cauliflower is as blank a canvas as mashed potatoes.